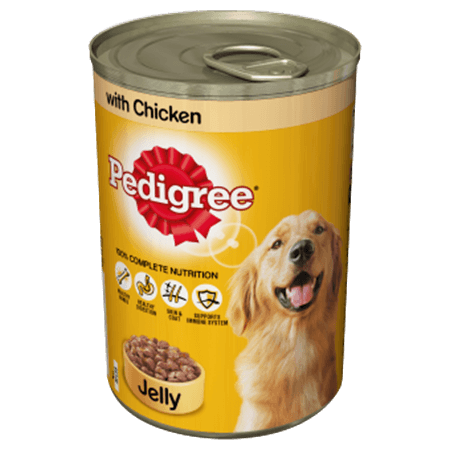 Pedigree Tin With Chicken in Jelly is rated 5.0 out of 5 by 1. Rated 5 out of 5 by Angee88 from Trusted dog food I have been using pedigree dog food for 12 years. I have 2 dogs and both love the canned and treats selections. They have and always are in great health and always look forward too dinner time.